Endodontic treatment or root canal therapy is a time-tested method to save a natural tooth. Patients in Crofton and surrounding communities including Annapolis, Baltimore, Bowie, and the greater Washington DC area trust Dr. Vickii Bingham-Lester when the need arises. A large area of untreated decay, a cracked tooth, multiple dental treatments, or repeated trauma are common reasons Gambrills endodontic treatment is needed. These situations can lead to infection, causing discoloration, sensitivity, or acute pain. Dr. Bingham-Lester performs root canal procedures in the lower arch, and most in the upper arch. If you need a root canal in a maxillary molar, she will provide referral to a trusted endodontist. Dr. Bingham-Lester’s first priority is to get you out of pain. X-rays are taken, using digital radiography, to get a clear picture of the location and extent of damage. The root canal site is numbed. An Isolite® mouthpiece is placed into your mouth. It is made of a soft polymeric material, designed to keep your tongue and cheek out of the way. If you need root canal therapy, you are in good hands with Dr. Bingham-Lester. The tooth is opened and areas of damaged structure are removed. Diseased pulp and nerves are removed. Canals are cleaned, sterilized, filled, and sealed. The tooth is covered with a crown. The procedure brings relief from tooth pain. Gambrills patients compare endodontic treatment to getting a filling, but the appointment takes a little longer. The restoration looks natural, and function is restored because nerves in teeth allow you to sense bite pressure and temperature, but the nerves in a single tooth are not necessary for normal chewing. 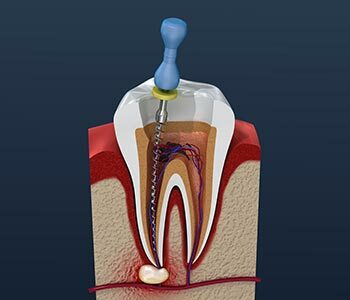 Root Canal - root canal therapy is a very common procedure. It has a reputation of being undesirable and painful, but when done properly, it is actually painless. Every tooth in your mouth is composed of a crown and a root. When a cavity or bacteria penetrates the tooth, its root and its nerves become irritated. As a result the bacteria within the pulp cavity needs to be removed and cleaned in order to restore the tooth to its healthy state. Following the procedure, the tooth is fragile and consequently is restored with a natural crown for a lifetime of durability. Root canals have a success rate of 95% or greater. Most root canals are diagnosed by patient’s sensitivities to a specific tooth. Be sure to consult your dentist if any symptoms or discomfort occur. Educate yourself on 'What is Root Canal? Process, Causes, Treatments & Recovery' by watching this instructional video by Dr. Bingham-Lester at Bingham-Lester Dentistry. If you need root canal therapy, you are in good hands with Dr. Bingham-Lester. Call 410-885-6522 to become her newest patient. Michael S "Just had a root canal done , no pain during or after . I felt i was in good hands the whole time , as always Dr. Bingham-Lester and her whole staff where excellent in explaining every step during the procedure . Awesome job"